Looking for a new decorating style for your home that will add charm and warmth? Consider Southwestern or Rustic style, which is fast becoming one of the most popular design trends in the home fashion industry. Rustic style decorating gives your home a casual feel that brings to mind cozy log cabins in New Mexico or sprawling Arizona ranches. So how can you add a Southwestern flair to your décor without having to move to the desert? Michigan Building Specialties has some tips! Vibrant, earthy colors are the cornerstone of the Rustic style. Freshly painted walls and colorful throw pillows and rugs in hues such as cactus green, adobe red and desert-toned neutral hues combined with splashes of bright yellow, dusty orange and deep turquoise add a Southwestern feel to any room. Certain types of fabrics also give rustic flair to home design. Woven fabrics, leather, and suede make great upholstery for Southwestern furniture, or you can choose to incorporate oversized furniture made of rugged wood or iron. 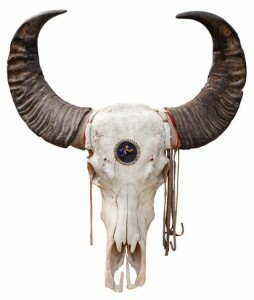 The best way to accessorize a Southwestern style room is to draw from nature. Hand-painted clay pots, painted ceramic pieces, and striped serapes (colorful wool shawls) hung on the wall make rustic great accents that will make your room pop. Aside from Southwestern decorating, there are remodeling projects that can also change the style of your home into a more rustic setting, including adding terracotta tiles to floors, countertops, and walls. For a more in depth remodeling project, consider adding distressed style wood flooring or thick, oversized ceiling beams to your home. Bringing these elements of Southwestern design into your home is a great way to change the whole look and feel of your personal space. 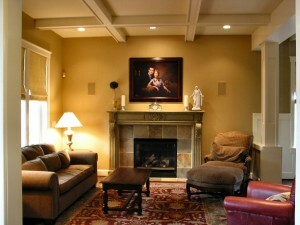 For more information about rustic design and decorating, please visit our website at http://www.4-mbs.com/. 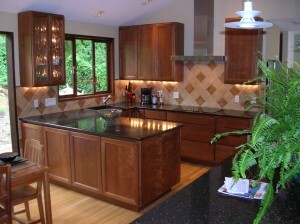 Call Michigan Building Specialties at 866-464-2534 for a personalized home remodel. We have locations in Adrian and Ann Arbor, Michigan. We look forward to meeting you! When considering flooring options, don’t be swayed by whatever is currently “fashionable”. Focus more on who you are as a person and what your tastes are. What are your favorite colors? What patterns speak to you? Do you like rich grains like those found in hardwoods, the soft warmth of a luxuriously thick carpet, or the clean and sleek simplicity of tile? What kind of décor are you drawn to? Do you plan on redecorating the entire room, or are you just redoing your floors? Staying true to your own personal preferences and existing decorating style will help you avoid ending up with a costly new floor that just isn’t “you”. Before settling on a new type of flooring, consider the room it’s going into. Will you be remodeling your kitchen floors and are someone who loves to spend hours cooking and baking? You might want to skip the tile since it can become uncomfortable on your feet after long periods of time standing. Looking to redo the bathroom your kids use? Look for flooring that can withstand all of those wet footprints and piles of soaked towels. Have pets and want a new floor for your entryway or living spaces? Avoid hard to clean flooring and light colored carpets. Considering how you and your family live will help you select flooring that will withstand wear and tear for years to come. When deciding on whether or not to go with hardwoods, tiles, or carpet, don’t forget to budget in the additional costs. Underlayment, delivery, installation, and the removal of your previous flooring are all costs you must consider. Also, remember to factor in additional materials such as baseboards, stains, or adhesives. Need more information on floor remodeling? Please visit our website at http://www.4-mbs.com/. Ready to get started? Call Michigan Building Specialties at 866-464-2534 for a personalized home remodel. We have locations in Adrian and Ann Arbor, Michigan. We look forward to meeting you! The holiday season is one of the most stressful times of the year and remodeling projects are some of the most stressful projects we can ever undertake. Combine the two and you could be setting yourself up for stress levels of epic proportions! However, if you find plan to start a remodeling project during the upcoming holiday season, or are in the middle of one that won’t be finished before the holidays hit, have no fear! Michigan Building Specialties can help get you through it with your sanity intact. Make a detailed list of any items you will need regular access to during the project. If you are remodeling a bathroom, store frequently used health and beauty supplies in an adjacent room in clearly marked containers. If you’re working on a new kitchen, consider setting up a small temporary kitchen that includes things such as a microwave, coffee pot, and mini fridge in another room or the garage. If you’re remodeling a living or sleeping space, set up an alternative sleeping area or relaxation area in another part of the house. If a kitchen remodel is on your agenda, make plans for meals before you begin. If you’ll have access to a freezer during the project, make several meals ahead of time and store them in single serving containers. Ask helpful friends for access to their kitchens, offering to cook for them in exchange for using their space. Clip and store takeout menus and coupons in an easy to access place. If it’s a bathroom that will be out of commission for a while, make sure you have alternatives available, especially if you do not have a second bathroom in your home. Ask friends and family if you can shower at their houses, research portable bathroom options, discuss bathroom access with a neighbor, and make sure you know all the public restrooms in your neighborhood. Make sure to discuss your wishes with your contractor before the remodeling starts. Explain to him important information such as what time of day they can start working, how late he can work, where he should park while he is at your home, how you wish him to store his tools and dispose of trash, and whether or not there are any young children or pets in the home he needs to watch out for. Talking over these issues with your contractor beforehand will prevent problems further into the project. Set up a bulletin board to keep track of the progress of your project. Make a list of steps you need to take to finish the project, and check them off as they are completed. This will keep you focused on the end result and prevent you from becoming frustrated with delays. Although undertaking a remodeling project during the holiday season can try the patience of the calmest person, it can be done with minimal stress! By making sure you are well prepared before the actual work even begins, you can keep the project running smoothly without losing your cool! 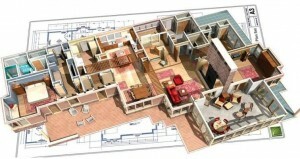 For more information on stress free remodeling, please visit our website at http://www.4-mbs.com/. One of the easiest ways to change the feel and look of a room is by adding a new color scheme. A fresh coat of vibrant paint on the walls, accented with coordinating pillows, rugs, photos, and other home accessories, can make any room in your home feel like a whole new space. When searching for color ideas to use in your fall 2013 home remodeling projects, a great resource to consider is the current fall fashion trend. Although it might seem a bit unusual to look towards the fashion industry for home décor ideas, the home textile and accessories industries often refer to New York Fashion Week’s Pantone Fashion Color Report for inspiration. Refer to this report while you choose your home remodeling colors for an updated, modern palette. By utilizing this list of fall fashion trends during your remodeling project, you will be able to easily create a room that is just as colorful, fun, and fashionable as your wardrobe! For more remodeling project ideas, please visit our website at http://www.4-mbs.com/. Don’t Just Dream It, Design and Build It! Michigan Building Specialties allows you to customize your dream like no other company can. With the help of one of our project managers, we give you the opportunity to build the lifestyle you desire and the home you’ve always wanted. Our creative team strives to come up with innovative ideas that will blow you away. To make your dream a reality, we like to start with a collaboration of ideas. You will have the opportunity work one-on-one with a project designer, who will take your vision and match it with our suggestions to create the perfect design. The next step will be to create several different design illustrations to show different approaches you might want to pursue. Once you have decided on a design approach, you and your project designer will begin turning these ideas into a working piece of art. Every detail will be hashed out, ranging from your choice of materials, budget, specific plans, and illustrations. At this point in the project, we assess your goals and address every detail. Careful planning at this stage reduces construction costs and allows a schedule for building to begin. Creating the specific documents needed for construction is necessary, so you can see where the project is headed and the process that will take place. This will contain structural and mechanical plans, building sections, ultimate specifications, and final project cost. We will handle the permitting process, prepare the construction agreement for review, and await your go ahead signature. Your project manager will guide you through the construction process to ensure every remodel fits your vision. We take great care to safeguard your home, your family, your personal belongings, and your daily routine. This may include closing off the work area, covering floors, and blocking walkways with protective materials. You can count on us to keep a log of everything on site including a complete set of plans, a schedule, and daily reports. Once the project is complete, the entire site is wiped clean and polished to perfection. We make sure everything looks perfect before you first step into the newly remodeled part of your home. We make it our top priority to make sure that your project experience is the best one possible. We will introduce you to your new space, walking you through it to show you all of the improvements and features we have included. Nothing is more exciting than that first time seeing your new living space. We may pop open a bottle of champagne or roll out the red carpet, but you can be rest assured that we make sure you enjoy the full experience. We are always honored to have shared such a journey with our customers and look forward to the next celebration with you! We’re happy to help you with any questions you have. Simply visit us online at MBS Design & Build or give us a call at 866-464-2534. We invite you to stop in to one of our showrooms today, conveniently located in Adrian, and Ann Arbor, Michigan. Posted in Design and Build | Tagged design and build, mbs, Michigan | Comments Off on Don’t Just Dream It, Design and Build It! Thinking about remodeling your bath or kitchen? Michigan Building Specialties (MBS) is your premier way of getting this done. Bath and kitchen renovations are great investments that will increase the future value of your home. We have professionals that love getting creative with you, so you can create the perfect living space. Technology has evolved so much over the years and our professionals have stayed up to date with all of the technological features that follow. Before you know it, you will be turning on your stove or microwave with your smartphone! This may be the place where you prepare your meals, but it can also be a place to hang out and entertain guests. Your design needs to accommodate any activities that happen in this space, whether it’s a football game or a holiday dinner. It is important for your design to reflect who you are, and that’s why we encourage creativity and ideas! Invest in beauty and style with MBS. We believe that a remodeled bathroom can change the way you live and feel. This is a private place where you can go to unwind and get pampered the right way. Try one of our custom plans to ensure your bathroom fits your lifestyle. 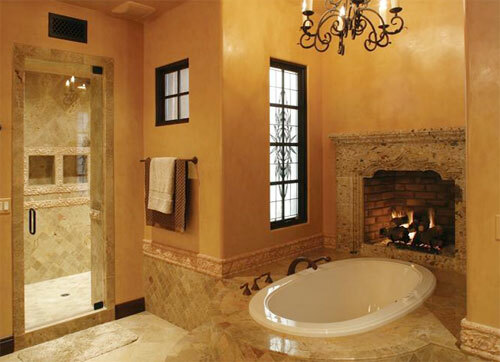 Example: A spa like bathtub with a fireplace, and his and her sinks with granite countertops. The bathroom serves as a place to soothe the soul and as a place to prepare. It should be the place where you can adjust the lighting and plumbing fixtures to fit the mood or situation you are in. You don’t need a boatload of money in order to give your bathroom or kitchen a boost, just some creativity and a helping hand. We are open to all your suggestions; we want to give you the best results. Not only will you be able to enjoy these perks yourself, but if you decide to sell your home in the future, the value of your home will go through the roof. According to SmartMoney, a kitchen remodel is considered the best way to boost your home’s value. We look forward to any challenge you want to throw our way and we look forward to working with you soon! We’re happy to help you with any remodeling questions you have. For a free consultation, simply visit us online at www.4-mbs.com or give us a call at 866-464-2534. Storage space in a kitchen is essential for organization, efficiency, and keeping your sanity. With a kitchen remodel, you can improve the storage in your kitchen to suit your needs, and the needs of your family. Is your dishwasher from 1975? Time to update! Kitchen appliances have come a long way from where they were even 10 years ago. Now, you can get the latest and greatest dishwashers, stoves, refrigerators, and more! Appliances can save you time and money by being more efficient and eco-friendly. And if you have a love for technology, many of today’s appliances come with tech features, such as turning on your dishwasher with your iPhone. With a kitchen remodel, you can arrange your space just the way you want. By evaluating what you use your kitchen for, you can design functional work stations to help you get more done. Work flow is affected by sink and counter placement. Knowing what you need is the first step toward a successful remodel. Don’t underestimate aesthetics. A balanced mixture of color, texture, and light all add interest to a kitchen. A beautiful kitchen is no small feat, and its benefits are many. An open kitchen space can create a feeling of relief and relaxation (who doesn’t need that while cooking dinner?). Colors you love will inspire you and lift your mood, no matter what they are. 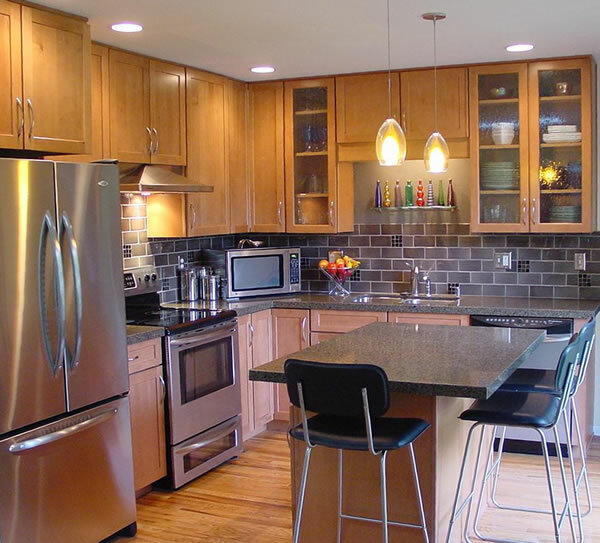 According to SmartMoney, a kitchen remodel is considered the best to boost your home’s value. Items to upgrade include countertops (granite, marble, slate), cabinets (bamboo, cherry, maple) and appliances (wi-fi connections, touchpads, mobile apps). Dreaming of a bathroom remodel? Modern bathrooms have become extremely luxurious in the last few years. Today’s bathroom has evolved from a completely functional room, to a spa-like retreat. Check out these up-and-coming trends that will elevate your bathroom to a luxurious experience. Homeowners today are requesting dual vanities more often, even in smaller bathrooms. Adding another sink to shared bathroom can be a necessity, especially if two people utilize the sink at the same time during the day. For more individualistic personalities, a personal sink allows the freedom to arrange counter and storage space the way he or she prefers. Much more than a simple comfort, two sinks in one bathroom can be quite practical. The television is considered a staple in the modern American home, and it’s no surprise that more and more people are requesting a television in the bathroom. Many homeowners enjoy watching the news as they prepare for the day, or viewing a favorite sitcom while soaking in the tub. This extravagance is actually becoming quite common in today’s bathrooms. TVs can be easily tucked into a corner, or hidden behind a mirror. Storage needs for the bathroom differ from other rooms in the house. Bathrooms don’t require a lot of large, deep drawers like the kitchen does. Instead, homeowners want small drawers, with dividers, to store toiletries. Vertical storage is becoming a bigger trend, since it’s so practical in the bathroom. There are multiple options for those who require a lot of storage in the bathroom. Today’s homeowner is looking for more light in the bathroom. Many are asking for additional windows, and larger windows, than they did several years ago. If you have room for only one window, consider enlarging it. This will allow more light into the bathroom, even with limited space. Panels of clear or frosted glass in the shower are another excellent way to let in more light. 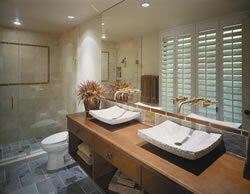 No matter what new luxuries your remodeled bathroom will contain, ensure that you remember sustainability. Being eco-friendly is important, and there are many ways to implement green alternatives into your bathroom. If you have a heated floor, attach it to a timer. Invest in a low-flow toilet. You may also want to investigate an on-demand water system, which eliminates the need for a water heater. If you’re interested in remodeling your bathroom, visit Michigan Building Specialties! We offer two showrooms in southeast Michigan, in Adrian and Ann Arbor. We’re happy to help you with any remodeling questions you have. Simply visit us online at www.4-mbs.com or give us a call at 866-464-2534.